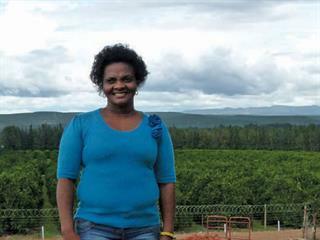 Ivy Mzamo has come a long way on the Luthando citrus farm near Kirkwood in the Eastern Cape. Beginning as a packer, she progressed to general manager and today is a co-owner. Her accomplishments were recently recognised when she won the national 2014 Female Entrepreneur of the Year award. Grant Hollins went to Kirkwood to find out more. Ivy Mzamo arrived at Kirkwood in 1997 without any experience or knowledge of citrus farming. Today she is the award- winning general manager of Luthando Farm. Ivy was already in bed on 22 August last year when the phone rang. The caller was an official from the Department of Agriculture, Forestry and Fisheries to tell her that she had just won the 2014 Female Entrepreneur of the Year award in the export market category award. 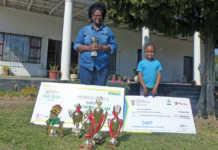 As a finalist in the competition, Ivy had been unable to attend the awards ceremony in Mahikeng in North West that night due to a mix-up with travel arrangements after returning from a citrus grower’s conference. Frustrated in her attempts to reach the function in time, she had simply gone home to her family. Winning the export category made her one of five winners, a prestigious achievement. But the best was yet to come. “A little later, an official phoned and said I had also won the overall prize! He was so happy he was crying,” she recalls. For Ivy, the award was the culmination of years of hard work on Luthando farm, part of the highly successful Sundays River Citrus Company’s development project in the Eastern Cape (see box at end of article). But equally, it was vindication against early critics. “I won the competition on behalf of the farm,” she says. “In the beginning, the community was pessimistic, saying the farm would fall apart after three years. Now, after winning, we have support from the community and some respect too, I think.” While disappointed at missing the national awards ceremony, Ivy was thrilled to receive an unexpected honour when she was invited to parliament for President Jacob Zuma’s State of the Nation Address. “It was amazing when I was at parliament. It was like a dream that was a reality,” she says. After Ivy moved to Kirkwood, their relationship blossomed and she and Joseph married. Ivy applied for a job on Brandwag from then owner, Hermanus Potgieter. Despite her lack of experience in citrus production, Ivy was employed to perform manual packing on the farm. In time, she progressed to become a worker in the orchards, where she was responsible for clerical duties such as recording each picker’s volumes and calculating the weights of different crates. She excelled in this role, particularly enjoying interacting with different people and making a point of getting to know her team – a task made easier by being fluent in Afrikaans, English and Xhosa. In 2002, after recognising her talent for communication and the high esteem in which she was held by her fellow workers, Potgieter promoted Ivy to assistant manager, responsible for communicating management decisions to workers. Ivy’s promotion to general manager came in the wake of a process of transferring ownership of the farm under the land reform regulations, something she initiated on behalf of all 70 employees. She was ultimately appointed to the position of general manager in 2013. Today, only 14 of the current 49 shareholders still work on the farm, but meetings are still held quarterly and dividends paid. Luthando employs 42 casual and 21 permanent workers, 14 of whom are shareholders in the business. The farm employs a further 240 seasonal workers operating in teams of four throughout the six-month picking season. With her solid background in record- keeping, Ivy is especially proud of winning the overall competition because the adjudicating auditors were thorough in their analysis. They investigated the full spectrum of the farm’s operations, from labour law and financials to procedures and quality controls. With a sizable purse attached to the Female Exporter and Female Entrepreneur awards respectively, the farm also gained immediate and tangible benefit from the success. She also bought a TLB for farm tasks such as making roads and digging trenches for new orchards. The farm had previously hired a TLB at great cost, and Ivy estimates that the machinery will soon have paid for itself. The winnings also enabled the development of a further 14ha of orchards, making the total 193ha under production. The farm produces Satsumas, Nova, Clementines, Lemons, Late Navels, Navels and Valencias, exporting a total of 3 740t last year. Ivy’s challenges have not centred only on production; inevitably other difficulties have tested her. One fo these has been security. 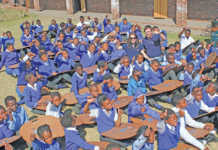 Located alongside a township, Luthando is particularly vulnerable to theft. 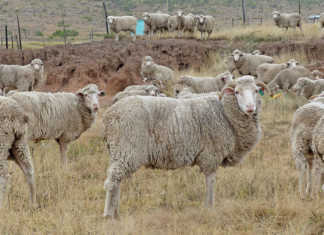 To prevent this, orchards have had to be fenced with razor wire and the farm employs 24-hour security personnel. According to Ivy, these measures seem to have addressed the problem. Ivy believes that her success can help to inspire others, and she has embraced this role. Luthando’s training facilities are used to provide training and learnership programmes and Ivy has already been an important inspiration for at least one future female farmer. Rina Selani is from a nearby Habata farm and is doing a learnership at Luthando. “I heard about this lady who had won the top female farmer of the year award,” says Rina. “I’m doing a learnership here now because I see that farming is an opportunity for a woman and not just for men.” Ivy regularly meets with fellow emerging farmers from her district and is keen for the region to produce another winning female farmer. Phone Ivy Mzamo on 083 608 6845 or email [email protected].